Proactive Advisor Magazine: Mike, please discuss your investment philosophy for clients. Our mission is to educate, guide, and inspire our clients to make confident decisions with respect to preserving and growing their assets. Our firm has more than 450 clients nationwide. Most of our clients are concerned about retirement planning. At the end of the day, my investment philosophy reflects a “better safe than sorry” approach. I aim to deliver a more consistent and predictable path for clients’ investments than they might have experienced previously. I try to help people avoid making costly mistakes, whether by circumventing the worst stock market downturns, having proper insurance protection, planning for retirement income, or preparing for health care issues later in life. We try to accomplish this through a systematic approach. How do you frame your investment discussions with clients? I usually start with this question: When the S&P 500 Index lost 52 cents on the dollar from October 2007 through March 2009, how did you feel? How much of that loss did your portfolio experience? If you had a negative experience, either through real losses or in terms of your peace of mind, would it make sense to consider a more conservative investment posture? I explain that we have an investment management system that strives to deliver results consistent with their risk tolerance and is adaptive to the current market environment. In a bear market, several of our strategies can short the market when our signals turn negative; others can adopt a market-neutral position. In bull markets, we seek to take advantage of higher-trending markets and deliver a competitive level of return with a portfolio that experiences less market volatility. Going back to bear markets, I ask clients to imagine standing on the edge of a cliff in a terrible storm. You know that is not a safe place to be—that you may fall. Do you think it makes sense to stand there and not take any defensive actions? Or does it make sense to have a plan for protecting yourself? Most clients who are near retirement are taking on too much risk in their portfolios, without a system that will help them weather that storm. People call this a “new normal environment,” and there is a lot of truth to that. But in many ways it is still about market fundamentals and market cycles. There have been market crashes and severe bear markets throughout history, and there is no reason to believe they will disappear. What is different is that we had two significant market dislocations within a 10-year period. And, from 2000 through 2010, we had the first negative 10-year cycle in modern market history. I tell clients, if on average you are seeing portfolio losses each year for 10 years, and yet still depend on that portfolio to provide retirement withdrawals, that is not exactly an ideal planning situation. It is not the same market environment that people were used to in the 1980s and 1990s. We have seen abnormally low interest rates for a long time, slow growth and weaker corporate earnings around the world, shifting demographics, nations carrying too much debt, and many other factors we have rarely seen happening simultaneously before. Many people are hanging on to an old belief system, while conditions are different today. I think it is my responsibility as an advisor to help people plan and invest based on the conditions that are before us now and that might arise in the future. An investment approach that delivers more stable returns will help clients maintain the consistent income they need for their retirement. How are you helping clients plan for retirement in this environment? It depends on the client, their specific financial situation, their tolerance for risk, and a whole host of factors we ascertain during the discovery and fact-gathering process. But, in general, I use a full spectrum of financial products and strategies and put together a customized approach for each retirement client. It is based on the principle of time-based allocations for delivery systems for their future income. The number one threat for someone retiring right now is the possibility of a market top developing for equities. We have no way of knowing for sure, but the length of historical market cycles would suggest that is a very real risk. So we need to plan for a more conservative approach for a recent retiree for about a five-year initial period. I would allocate sufficient money to have that individual draw the income they need for five years and look for returns no greater than around 3% for that money. At that level of return, we could construct a conservative strategic approach that can mitigate much of the severe volatility that could occur. For example, we might use a short-term corporate bond fund that should see little volatility. From that point, we can use time to help manage volatility further out. We can get a little more aggressive in later time frames in terms of acceptable risk and looking for somewhat higher returns. I build a plan, allocate the dollars over time, and have the plan work to shift the risk more than 15 years out. It is, however, important to realize that this is a fluid planning process that needs to be reevaluated constantly over time. Client financial needs change, and family or individual circumstances change. And, our planning assumptions about interest rates and the returns of various asset classes have to be monitored and adjusted. What is the role for active investment management in your approach? Third-party active managers play an important role in most of our clients’ portfolios. Generally speaking, for the time period five to 10 years out, my plan design looks for normalized volatility and a rate of return roughly between 5%–7%. I need an investment management system that is going to give our clients the highest probability of delivering to those parameters. It is extremely important that this management system protect our clients against severe downturns. I am less concerned with missing out on some of the market’s upside, as long as the strategies we use are built to avoid brutal losses. The active strategies we prefer can short the market during down cycles or go to cash. That is extremely important and not something that you will find with the typical mutual fund. In general, we use a blend of strategies and different asset classes. We commonly use managed income and growth strategies in a strategic relationship appropriate for a specific client. We might also use some hedging strategies. The key to our approach is identifying the appropriate managers—and then holding them accountable for performing in line with their stated strategic objectives and in various types of markets. There will be times when some strategies are not firing on all cylinders, and we understand that. But we will not hesitate to make changes if the performance of a strategy or a manager is consistently out of line with our expectations. How do you handle the discussion of fees related to managed accounts? The return numbers I share with clients are net of fees, and I am very transparent about how we and the managers we work with are compensated. Our managers go through extensive due-diligence checks. They have investment management systems that are well-defined and proven over time. They have invested significant time and money into their staffs and their methodologies. I explain that to clients, as well as the benefits of having a managed approach to their money, versus having their assets fully exposed to the volatility and unpredictability of the markets. This makes sense to clients, and fees are seldom an issue. I believe a managed portfolio approach fits well with everything I do related to working with my clients. We are trying to bring time-tested management principles to all elements of our practice. We want to minimize risk and uncertainty. While you cannot control everything in the external environment, sound management practices and systems will increase the probabilities of success. That is our overriding objective. 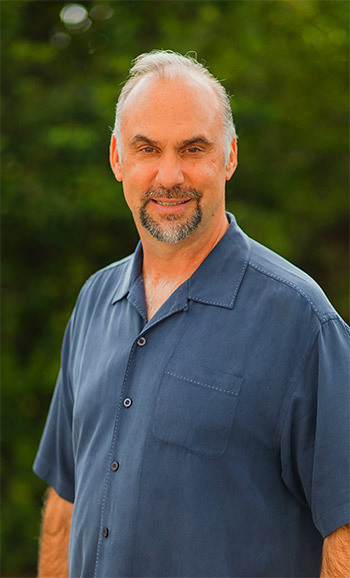 Michael Sears is the founder and principal of Sears Group, Inc., located in Englewood, Florida. 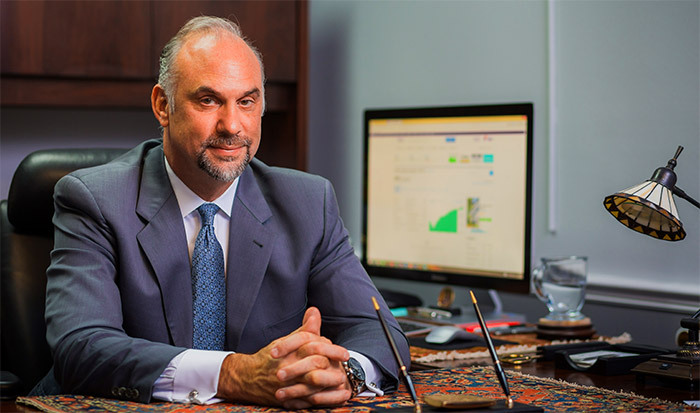 For more than 20 years, Mr. Sears has helped a broad base of clients preserve assets and manage their wealth. 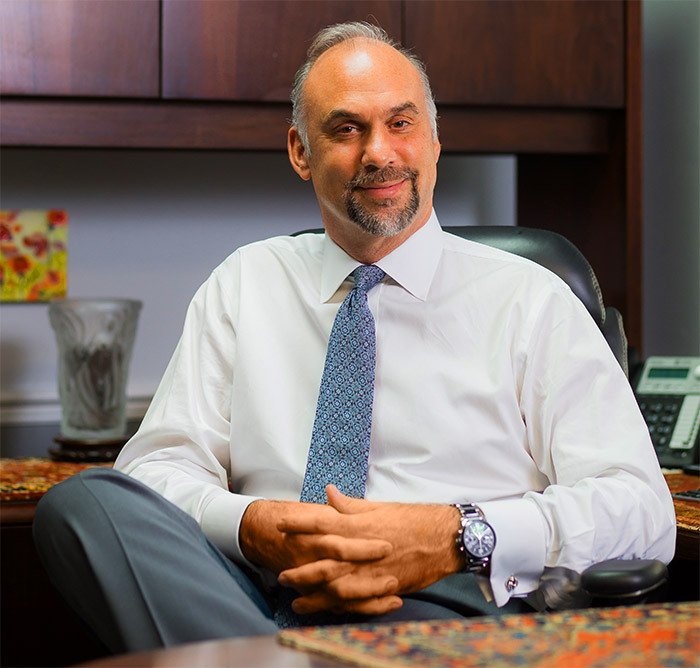 He serves both business and individual clients, including small-business owners, high-net-worth families, and seniors. 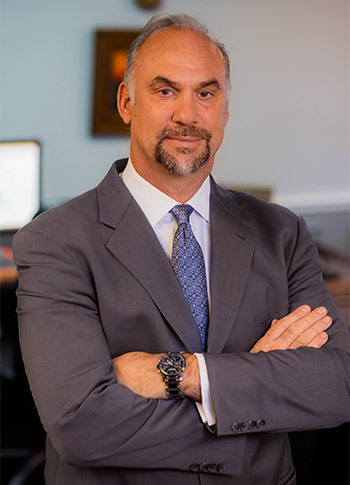 Mr. Sears held an advisory position with a national financial-service firm and a regional financial-service firm before starting his independent practice in 1995. He has been a consistent top-10 producer with his current broker-dealer and has won recognition as the No. 1 producer nationally from 2005–2015. He has held many financial workshops, which have been attended by retirees of local corporations and Fortune 500 companies. Mr. Sears has written numerous articles on retirement planning for various publications. Mr. Sears and his wife have “two wonderful daughters in their twenties.” He has been a board member of local nonprofits and is a member of the Better Business Bureau. 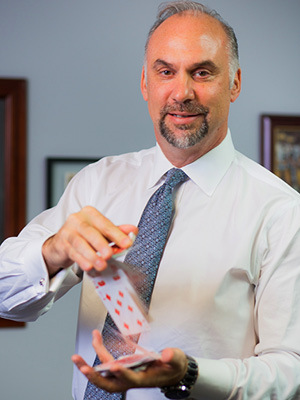 Mr. Sears is also an accomplished magician and has performed professionally since the 1980s. Disclosure: Securities offered through Questar Capital Corporation (QCC). Member FINRA, SIPC. Advisory services offered through Questar Asset Management (QAM), a registered investment advisor. Sears Group, Inc., is independent of QCC and QAM.